Hockey defenceman who won back-to-back gold medals representing Canada at the 2007 and 2008 World Junior Ice Hockey Championships. 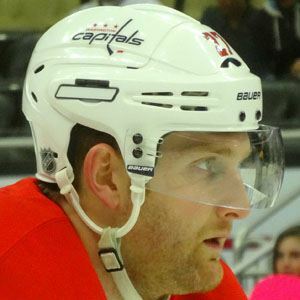 He began his NHL career with the Washington Capitals in 2008. He was born in Burnaby, British Columbia and began his junior hockey career with the Calgary Hitmen. In 2008, he won the Four Broncos Memorial Trophy as the best player in the Western Hockey League. He married Mandy Flemmer in 2012. He and Semyon Varlamov are both former first round picks of the Washington Capitals.